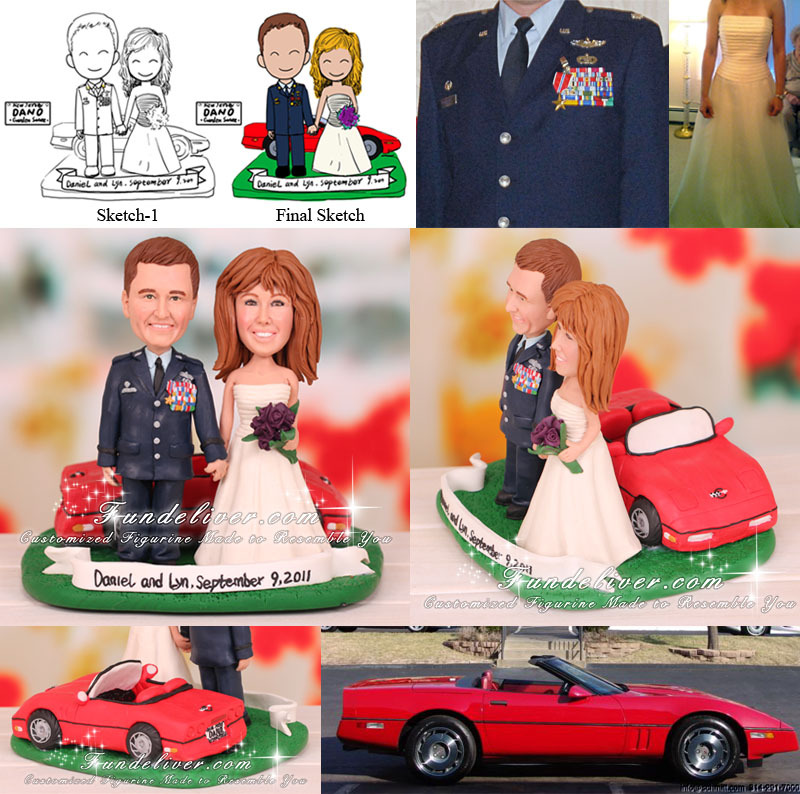 This is a completely customized corvette wedding cake topper ordered by one of our customers. 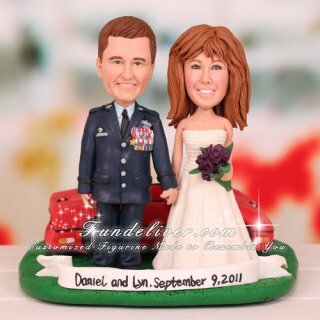 They would like the groom to be wearing his Air Force uniform and the bride to be wearing her ivory wedding dress, holding purple flowers. The groom loves his 1966 Corvette convertible so much, so they would like to get his red Corvette involved in their wedding cake topper. However they don’t want their figurine to be in the Corvette but standing alongside of it. They would like to change the license plate to a New Jersey plate that reads "Dano", and add a name plate in front, saying “Daniel and Lyn, September 9, 2011”. Love this Corvette convertible wedding cake topper? Why not get your favorite cars involved in your wedding cake toppers to reflect your interests and personalities?